His Holiness, the 33rd sMenri Trizin, was the recent spiritual head of the worldwide Bön community and abbot of sMenri Monastery. His Holiness was born in 1927 in Amdo, Eastern Tibet. He began his religious studies at age 8 at the Kyong Tsang monastery. 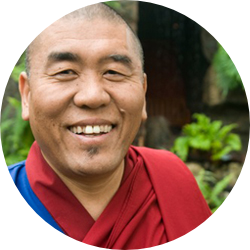 At age 16 he entered the monastery’s dialectic school, and received his Geshe degree. He furthered his studies at the original sMenri monastery, Yungdrung Ling, Kharna, and Drepung monasteries. During the 1959 Chinese invasion, His Holiness and many other Bön monks and refugees fled to Nepal, and then to India. In 1964, at the request of His Holiness the 14th Dalai Lama, he founded a school in Massori, northern India, for Tibetan refugee boys to receive a high school education. This school was staffed with volunteers from the West. Geshe Sangye Tenzin Jong Dong (as he was known then) remained as head of the school for three years, teaching Tibetan grammar and history. Each month he sent his salary, three hundred rupees, to the refugee Bonpo lamas living in Manali, India for them to buy food. He also helped create a meditation center in Manali for the lamas and monks. Later the school that he founded was moved to the south of India, where it became the first permanent Tibetan settlement in the region. In the 1960’s, His Holiness was a visiting scholar and teacher in Oslo, Norway. He also studied in Christian monasteries in England and travelled to Rome, where he had a private audience with Pope Paul IV. In 1968 he was chosen as the new Abbot (Trizin) of the new sMenri Monastery in Dolanji, and with that title assumed the role of spiritual leader of all Bön. His Holiness founded the Bön Dialectic School at sMenri Monastery, as well as the Bön Children’s Welfare Center and the Redna sMenling Nunnery in Dolanji. Because of His Holiness the 33rd sMenri Trizin’s tireless dedication, Dolanji has become a a thriving center of Tibetan culture and education for exiled Tibetans and new generations of Tibetans. Today there are approximately 900 Bonpos residing in Dolanji. His Holiness passed into enlightenment in 2017. He graced Yeru Bön Center with a strong personal connection. He visited Yeru Bon Center twice, most recently in June 2013. His Eminence, Yongdzin Tenzin Namdak Rinpoche, has been recognized by His Holiness the 14th Dalai Lama as the single most important living repository of Tibetan culture. He was born in 1926 in the Kham region of eastern Tibet. At the age of seven, he began studies at Tengchen Monastery. In 1941, he studied at Yungdrung Ling Monastery, and in 1950 entered the original sMenri Monastery, where he received his geshe degree in 1953. From 1953 – 1957 he served as the Lopon (head teacher) of the original sMenri Monastery. During the 1959 uprising, His Eminence was in spiritual retreat in Tibet. He attempted to leave in 1960, but was shot and imprisoned by the Chinese for ten months. He finally managed to escape to Nepal. In the 1960s, His Eminence was a visiting scholar in London and studed at Cambridge. He collaborated with David Snellgrove, an English Tibetologist, and the result was The Nine Ways of Bon. He also was a visiting scholar at Munich University. In 1967, His Eminence assisted in procuring the land and establishing the Bön settlement at Dolanji, India. In 1968, His Eminence founded the Tibetan Bonpo Foundation, a charitable organization for the Bön community. He resided at sMenri Monastery from 1969 to 1987, continuing his work of writing, publishing, practicing, and teaching. In 1978 the Bön Dialectic School was established at the new sMenri Monastery in Dolanji India, under the direction of His Holiness the 33rd sMenri Trizin and his Eminence once again held the responsibility as head teacher to instruct the students of the newly founded dialectic school at the monastery. His Eminence traveled to England, America and Italy in 1989, where he gave teachings on Dzogchen according the the Bön traditions of Atri and Zhang Zhung Nyengyu. In 1987, His Eminence founded Triten Norbutse Monastery in Kathmandu, Nepal, which today houses approximately 170 monks. His Eminence also founded a new Bön center and temple in France, Shenden Targye Ling (www.shenten.org). He maintains a regular teaching schedule both in Kathmandu and France, and also visits the United States to give teachings. In 1993, Heardrops of Darmakaya, his commentary on Shardza Tashi Gyaltsen Rinpoche’s book of Dzogchen practice, was published in English. This is the first book in English that describes the practices of Dzogchen in detail. Latri Khenpo Nyima Dakpa Rinpoche is Yeru Bön Center’s founder and spiritual leader. He is the lineage holder and abbot of Latri Monastery in eastern Tibet. Rinpoche received his Geshe degree (equates to a Ph.D. in the West) in 1987 from the Bön Dialectic School at sMenri Monastery in Dolanji, India. His early education came from his father, a well-known lama in eastern Tibet, and from Tsultrim Nyima Rinpoche, the lama of Dorpatan Monastery. Rinpoche later entered sMenri Monastery in Dolanji, India, the seat of Bön religion and education. There he was taught by His Holiness Lungtok Tenpai Nyima Rinpoche, the 33rd sMenri Trizin (abbot); His Eminence Yongdzin Tenzin Namdak Rinpoche, who was then the Lopon (head teacher) of all Bön education; and master Geshe Yundgrung Namgyal, a teacher of the Bön Dialectic School. 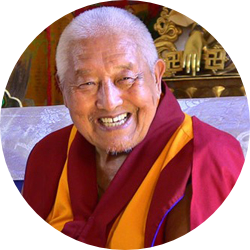 Rinpoche has taught Bön teachings in the U.S., Europe and Asia since 1989. 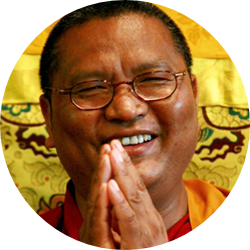 He is the founder of the Yeru Bön Centers in Minneapolis and Los Angeles; the Shen Ten Ling Bön Centre in Vienna; Shen Chen Ling in Minsk (Belarus); Shardza Ling Institue in Poland; the Shardza Ling in Warsaw, Poland; the Shardza Ling Retreat Center at Zhedoa, Poland; the Bön Shen Ling in Moscow; the Bön Shen Drup De in Kharkov, Ukraine; and Yeru Canada. Rinpoche also is currently supervising a stupa project for world peace at the Kungdrol Ling Retreat Center in Thailand. Rinpoche is the founder and President of the Bön Children’s Home in Dolanji, India, that provides housing, clothing, food and education for orphaned and underpriviledged Bön children from northern India, Nepal, Bhutan and Sikkim. He is also Vice-Chairman of the LAC for the Central School for Tibetans in Dolanji. Rinpoche founded Hope for Tibetan Children, located in Minneapolis, which raises funds for the Bön Children’s Home and other needs. Rinpoche is the author of Opening the Door to Bön, a guide for Western students of Bön. His Eminence, sMenri Lopon Trinley Nyima Rinpoche, is the current Ponlob (head teacher) of the Bön Dialectic School at sMenri Monastery. He was born in 1962 in northwest Nepal, in the village of Tsakha. Ponlob Rinpoche is a member of the famous and ancient lineage of Yangton Lamas, who were the priests of NyaTri Tsenpa, the first king of Tibet. At age 13, he went into a series of three-month retreats, during which time he focused on advanced Bön practices. He completed the foundation for Dzogchen and received transmissions and empowerments from a many masters. In 1979, His Eminence came to sMenri Monastery, where he studied and received his Geshe degree under H.H., the 33rd sMenri Trizin and H.E. 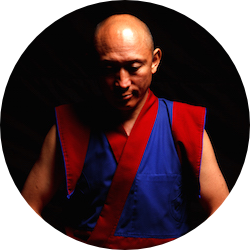 Yongzin Rinpoche. Soon after, he was appointed Dialectic Teacher for the Bön Dialectic School. In 1992, he was given the title of Lopon (head teacher) of the Bön Dialectic School at sMenri. His Eminence Kundrol Namka Wangyal Rinpoche is the seventh reincarnation of the great Kundrol Jatson Nyingpo of Tibet. Kundrol Jatson Nyingpo was a great terton (revealer of hidden treasures) and founder of Za Mongyal Monastery in Tibet. The depth of the great deeds of Kundrol Rinpoche and the vastness of his knowledge are the signs that he is truly the great Terchen Kundrol Hung Chen Dodhul Lingpa in a different physical form. 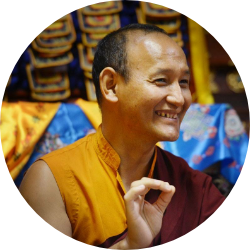 Kundrol Rinpoche is a non-sectarian, and has received teachings and empowerments with highly respected Bön and Buddhist masters. Geshe Nyima Kunchap is a senior Bön master. He received his Geshe degree from Menri Monastery in Dolanji, India, the mother monastery of the Bön worldwide. 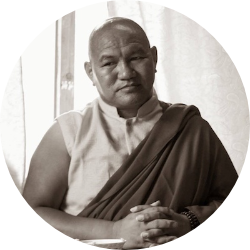 Trained in many Bön practices at a young age, Nyima Kunchap is known as a master of Bön rituals, and has taught and performed Bön rituals around the world. Geshe Murig Nyima Kunchap is also the founder of Dolpo Bön Society and Nepal Bön Religion Association. 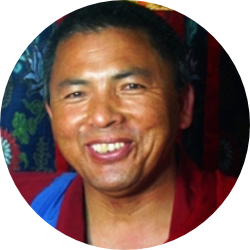 Khenpo Geshe Tenzin Dargye was born in 1965 in Jomson Mustang, Nepal and was tutored by his father until the age of nine, when he was sent to study in India. At the age of 14 he was inspired by his grandparents to become a Bon monk. In 1996, Khenpo received his Geshe Degree from the Bon Dialectic School at sMenri Monastery in Dolanji, India. He has worked for the Bon Children’s Welfare Center in their medical dispensary. Khenpo Geshe Tenzin Dargye is the Abbot of Dhorpatan Monastery in Nepal, and played in important role in renovating and maintaining that monastery and the Tibetan Bon medical center there. Geshe YongDong was born in 1969 in the Amdo region of Tibet. As a child, he herded sheep and yaks in the Himalaya Mountains. It was lonely and dangerous work for a young boy, traveling alone through the cold and dark for days without seeing another human being. He experienced silence and being along with one’s fears. 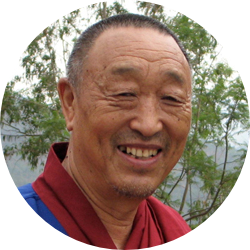 Geshe YongDong knew he wanted to become a monk at the age of seven when his mother died and was visted by monks chanting and praying. At the age of 13 he entered the Nangzig Bönpo Monastery, the largest Bön Monastery in Tibet. In 1992 he escaped from Tibet into Kathmandu, Nepal. He studied in sMenri Monastery and later traveled to France, to teach at the Yungdrung Bon Monastic Center. Later he moved to Canada, where he was granted refugee status, and in 2007 was granted Canadian citizenship. 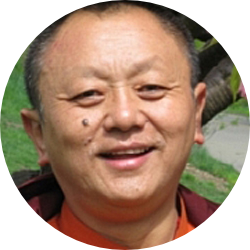 He founded the Sherab Chamma Ling center in 2003. He is the author of several books. Tempa Dukte Lama was born in the Humla valley of Nepal, close to the Tibetan Border into a family of Bon and Nyingma practitioners. His grandfather was a village shaman priests called Drang Rig. At the age of six, Tempa entered Menri monastery in Dolanji, India, where he was placed under the care of H.H. Lungtok Tenpai Nyima Rinpoche, the spiritual head of the Bon tradition. Genyen Tempa Dukte Lama is an ordained Tibetan Bon lama. He is the founder and spiritual director of Olmo Ling Bon Center and Olmo Ling Publications. He is an artist, poet, and the author of Heart Drop of the Loving Mother, Journey into Buddhahood, Inexhaustible Miracles and The Intimate Mind.